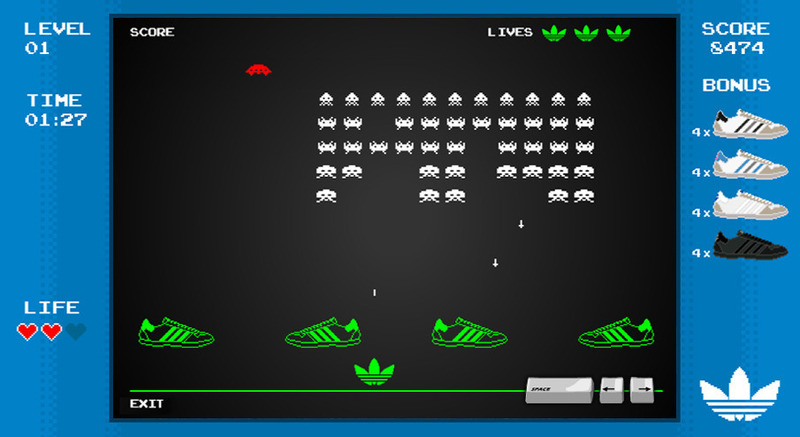 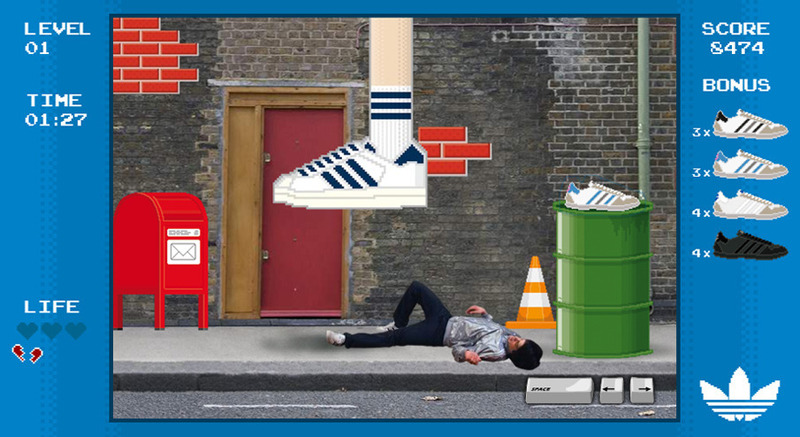 Online, customers could play an interactive version of the spot, collecting adidas sneakers and dodging the 8-bit inspired pitfalls and fireballs. 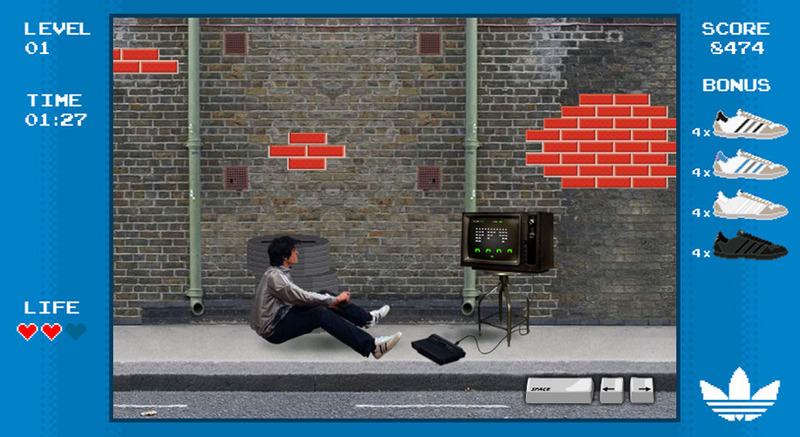 High scores were published daily and shared on social network websites. 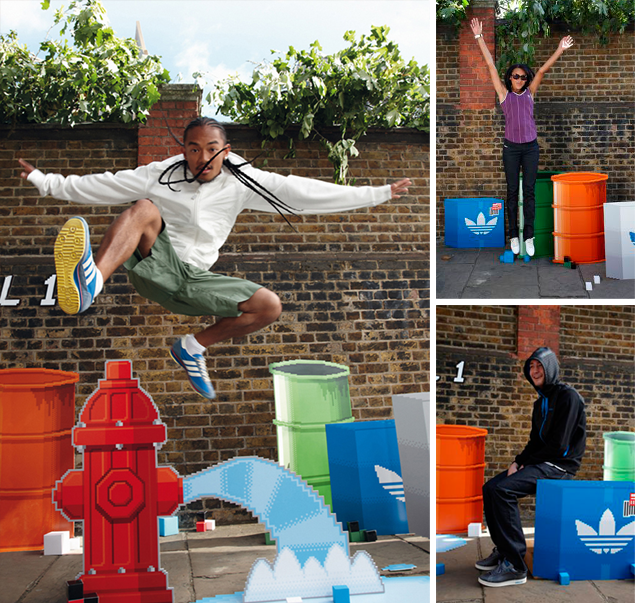 Pixels came alive as our models interacted with our props in this 8-bit inspired style guide shoot.